What’s the best diet for maintaining a healthy weight and warding off chronic diseases? Is it a low-carb diet, a high-carb diet, an all-vegetable diet, a no-vegetable diet? Researchers say you’d be better off just forgetting the word diet, according to an editorial published August 20 in the Journal of the American Medical Association (JAMA). 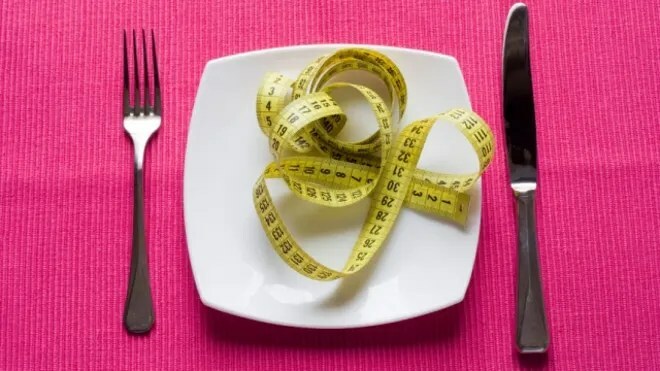 The researchers cite numerous studies that demonstrated only moderate success with various types of diet that focus on macronutrients: protein, fat or carbohydrates; but regardless of diet, without a lifestyle change, the weight comes back. Conversely, several large and recent studies such as the Finnish Diabetes Prevention Study and the China Da Qing Diabetes Prevention Study found lower weight and lower incidence of diabetes among study participants many years after the study’s initial completion because the subjects were taught howto lose weight through lifestyle interventions. Pagoto described lifestyle interventions as three-prong: dietary counseling (how to control portions , reduce high-calorie foods and navigate restaurants), exercise counseling (how to set goals, target heart rate and exercise safely), and behavioral modification (how to self-monitor, problem solve, stay motivated and understand hunger). “Adherence is key, and the way to destroy adherence is forcing foods on someone they do not like, do not know how to prepare, or can’t afford,” Pagoto said. Indeed, the authors wrote that the only consistent fact in all the diet studies is that adherence is the element most strongly associated with weight loss and disease risk reduction. Pagoto described five challenges to any diet that she sees with her patients: having no time to cook or exercise; being too stressed out, having family members bring junk food home; not having anyone to exercise with, or feeling awkward exercising; and feel hungry all the time. The ratio of fat to carb to protein doesn’t come into play. Most her of obese patients understand which foods are healthful and unhealthful, she said. So she works with her patients to find ways to make healthy behaviors more routine, regardless of the patient’s type of diet. Pagoto and Appelhans call for more research on diet adherence. The authors described the amount of adherence research as miniscule compared to that on studying the large fad diets. Similarly, the general population knows more about nuances of these diets Atkins, South Beach, the Zone and such than they do about the basics of adherence; and that, the authors said, is central to the obesity epidemic.